You are here: Home > Tutorials > Apps & Software > Can Your CRM Save Your Business? In a gist, Customer relationship management (CRM) may be defined as a set of practices, strategies, and technologies that organizations across the world use to manage and analyze business to customer or business to business synergy in terms of data and communication throughout the customer lifecycle. This is done with the larger objective of improving business relationships, assisting in customer retention and driving revenue. It is no surprise then that CRM systems are devised to cull information on customers across numerous channels – which may also be described as critical points of contact between the customer and the company. These channels include the company’s website, telephony interaction, live chat, direct email marketing, other marketing materials and obviously, the ever expanding social media. CRM systems help to allow customer-facing staff to be privy to detailed information about their customers, which may include personal information, purchase history, buying preferences and concerns. Ultimately, a CRM (and a robust one at that) allows you to develop better and lasting relationships with your customers and in turn, with the broader business community. While some of the larger CRM solutions might take some amount of time and expenditure during implementation, the many benefits that a CRM has, cannot be under-rated. 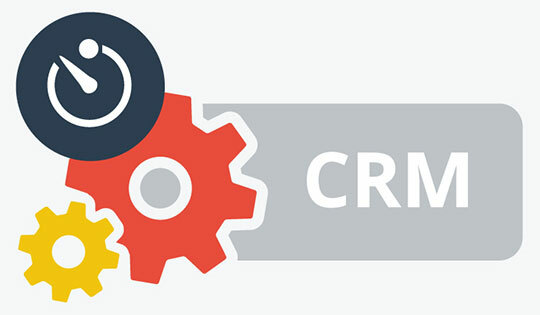 Broadly, some of the most coveted benefits of a good CRM system are as listed below. If you have already decided to implement a particular CRM system that you are comfortable with, it will give your business the much-needed edge above your competitors and also the capacity to tailor make and customize your relationships with your customers independent of a single dedicated resource (employee) at any given time. Effective CRM systems have a centralized dashboard access (depending on the level of access that the user has) and maintain an archive of customer profiles complete with previous interaction history, thus giving your staff the freedom to be able to cater to each buyer independently. As a result, each and every member of your staff is better informed about each individual customer’s specific needs and concerns. Good CRM assists in the company’s easy and seamless adaptability its level of service to the customers’ to match and sync with the numerous profiles. This enhanced customer service leads to a gradual rise in customer loyalty and subsequently addresses their concerns, thereby reducing customer complaints. A good CRM system also aids the business to gather and collate feedback from customers regarding their purchases. A good CRM system will go miles in helping the organization single out potential leads and customers effectively. Since the CRM system keeps a track of customer profiles, one of the most productive things that the company can do is to generate new methods to establish demographic targeting to be able to facilitate a larger customer base. By using the information that is already available within the CRM, a business can coordinate both marketings as well as promotional campaigns successfully by reaching out to newer people and potential customers who do not repeat buyers. This also means that it can get you a large number of leads who, when nurtured well, are highly likely to convert into buying customers. What is more, through an effective multi-channel approach, your CRM can also ensure enhanced customer retention if you can implement and execute a suitable loyalty program on the side. 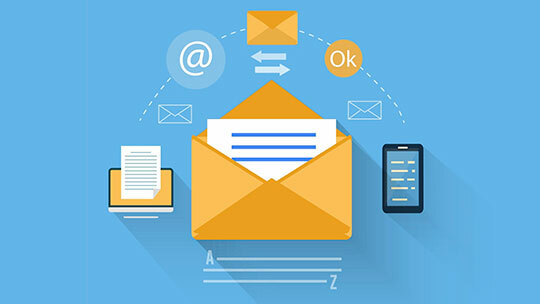 Your CRM can help your business to create and grow superior communication channels. With its current omni-channel approach, marketing has ceased to be defined by limited outreach media & activities. Whether it is your website, your 24/7 live chat support, your social media channels or even your direct marketing efforts, the CRM is bound to make doing business much more conducive for your business and its sales personnel. Remember, your CRM also allows your organization to allow your customers the option of selecting how they wish to be contacted or reached out to. More importantly, CRM systems expedite the process of deal closure because of the enhanced productivity in harnessing customer leads and information calibration. The turnaround time for the closure of deals decreases substantially, thereby furthering the company’s objectives. Also, as the different departments of the company have access to centralized data, the staff can collaborate effortlessly and work as a unified team, instead of working as individual contributors or in confined teams. Thereby, in spite of each department having its own set of defined goals & objectives, each individual is conscious of the finer details and is working toward the common goals. Thus, in the best interests of your business, irrespective of its size and nature, a CRM should be among your top priorities towards realizing the goal of a highly efficient, automated and process driven organization. So do not wait any further, get your business a new CRM this new year. This article is written by Radhika Mohan Singh Roy. He is a Senior Product Evangelist with Agile CRM. He has earlier been the Manager for Communities & Social Media at Simplilearn. He is a Masters' degree holder in English and a certified Six Sigma Green Belt. He has previously also worked with Google, Apple Computers and Bank of America.